My name is Michelle White and I am a proud partner family of NOAHH. I was raised in southwestern New Mexico. 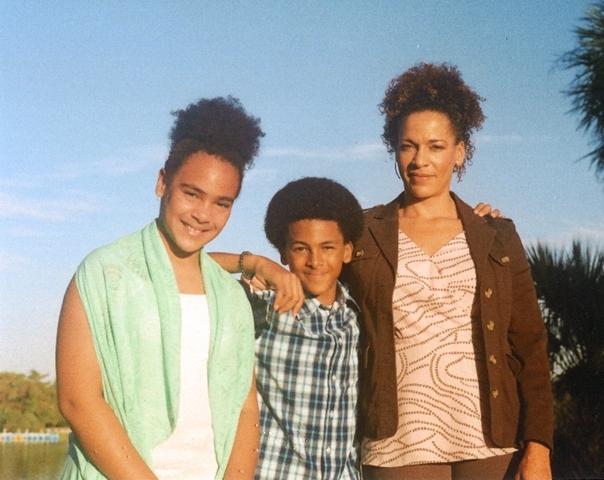 I was born into a bi-racial family and lived my first 18 years of my life in a mobile home. Surrounded by desert, I learned how to shoot guns, wrestle rattle snakes, and drink water from cacti. Living in New Mexico taught me how to be resourceful, aware, and appreciative of diverse cultures. One interesting fact about me that not too many people know, is that I had a pet rat named Whitey. Growing up surrounded by farms, made me cognizant of the harsh realities that many of the immigrant workers had to endure to survive. Their strength, work ethic, and determination made an impression upon me. I learned the importance of working hard and always doing my best. I moved to New Orleans, Louisiana, in 1999. I attended Southern University and received a Bachelors in English. Upon graduation, I began working as a manicurist at Bela Dona. Soon after that, I became pregnant with my son and returned to New Mexico. After Hurricane Katrina, I felt it was my duty to return to New Orleans and be involved in helping rebuild the city. Unfortunately, my dreams were cut short due to unstable income and having to raise two small children independently. I was living off a housing voucher that I received from HANO. My options were limited. I decided to attend Delgado Community College, where I received my certification in massage therapy. Once I received my license in the state of Louisiana, I became self-employed. I inquired about Habitat for Humanity but did not qualify. I spent the next three years building my business and until I was accepted into the program as a partner family. I am so very excited to become a homeowner and grateful for the many individuals who have helped make my dream a reality. Because of the great impact this organization has had on me, I will refer as many people as I can about this phenomenal program that has changed my life.